Posted on 08/30/2018 by Mickey McCarter	in Live Review and tagged bluegrass, Brooklyn, Punch Brothers, The Anthem. 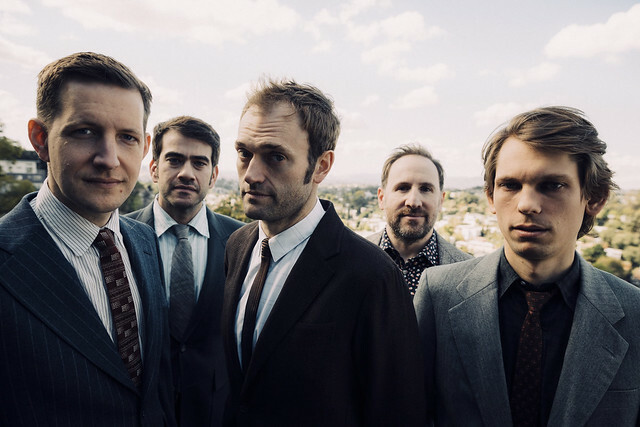 The Punch Brothers released All Ashore via Nonesuch Records on July 20. On Thursday, Sept. 6, the bluegrass Brooklynites perform at The Anthem! Chris Thile (mandolin), Gabe Witcher (fiddle/violin), Noam Pikelny (banjo), Chris Eldridge (guitar), and Paul Kowert (bass) released their first album, Punch, in 2008 via Nonesuch. All Ashore is their fifth studio album, but the first self-produced by the band. “Punch Brothers have crafted a deeply meaningful and downright gorgeous record that takes the world for what it is, but doesn’t use that as an excuse to give up,” said the Boston Globe in praising the record. Hear it live for yourself! Buy your tickets online.